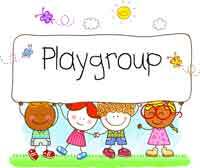 Hamilton child guidance classes seek preschoolers for play groups - Hamilton School District. Hamilton High School’s child guidance classes are seeking 3- to 5-year-olds to participate in play groups where preschoolers will build relationships with peers and prepare for kindergarten. Hamilton students will plan and implement fun activities and offer a snack under the direction of their teacher, Janine Farrell. The session runs Oct. 31 – Jan. 12, Monday through Thursday. Two time periods will be offered: 11:10 a.m. – 12:20 p.m. and 1:05 – 2:10 p.m. Cost is $20.